The law library welcomes alumni and visitors, including members of the bench, the bar, and the general public. In addition to our collection of general legal materials, the library owns a variety of Louisiana-specific practice guides, formbooks, and treatises. Visitors may use most of the law library’s collections onsite. 1. 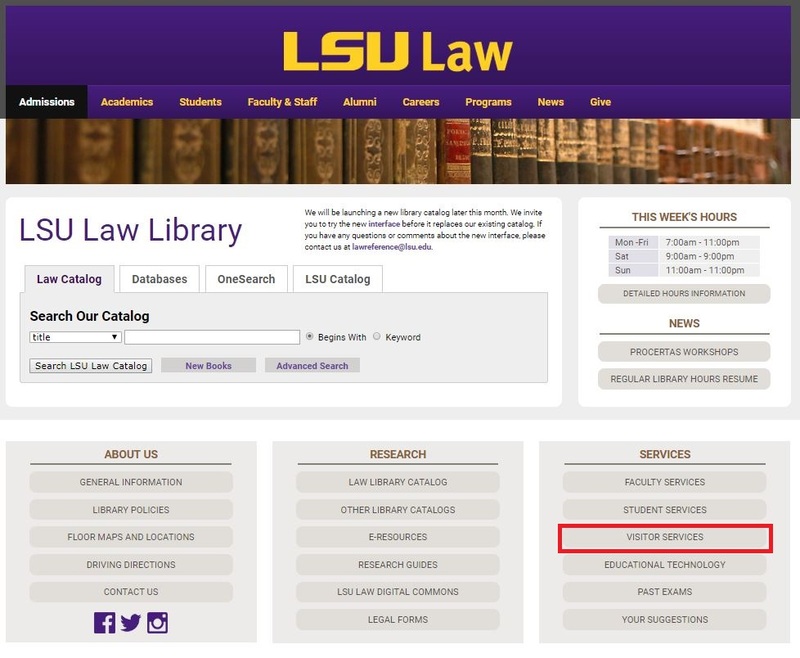 Navigate to the LSU Law Library website. 2. Click Visitor Services under the Services section on the Home page. 3. A new webpage will open to all of the Visitor Services information.